She shot to fame when she appeared on Britain's Got Talent and has since made millions thanks to her truly incredible voice. 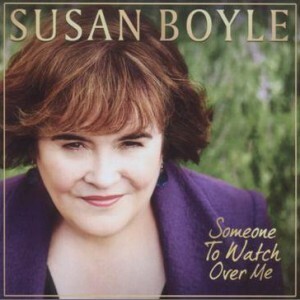 Now, after her first two albums I Dreamed a Dream and The Gift dominated global charts selling over 14 million copies in 14 months, Susan Boyle is back with her highly-anticipated new album Someone To Watch Over Me. On the new album, due for release on Monday 7th November, Susan has specifically chosen songs that emotionally reflect the life stories of the people who have written her fan letters from around the world. And bosses will no doubt be hoping Someone To Watch Over Me will have the same success of her two previous albums, which both went to number one in over 30 countries smashing music records around the world. 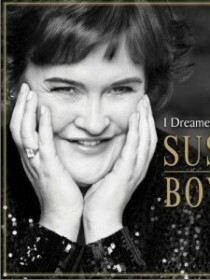 Meanwhile, Susan has been keeping fans on tenterhooks about the new record. She teased them by writing on her Facebook page earlier this month: 'I’ve had an exciting few days in London, finishing the album with some personal touches and some filming. And fans will also be treated to a glimpse into the life of the now world-famous singer in a new ITV1 fly-on-the-wall documentary, which is set to air ahead of the release of the new album. An insider said: 'Despite the fact she's had this enormous success in record sales, she wanted to show her fans she's still the same Susan.